MOUNT GILEAD — The Ohio State Highway Patrol is urging motorists to help keep everyone safe by moving over when you see a stationary public safety vehicle, emergency vehicle, road service or highway maintenance vehicle on the side of the road with flashing or rotating lights. 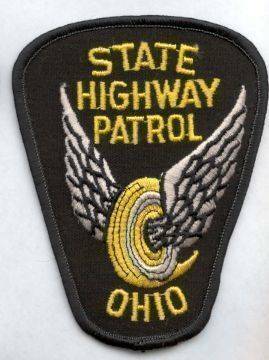 From 2013-2017, Ohio State Highway Patrol cruisers were involved in 58 crashes that appear to be related to the Move Over law. These crashes resulted in the deaths of two civilians, and injured 34 civilians and 24 officers. In 2017, troopers wrote 17 percent more citations for violating the Move Over law than in 2016. From 2013 to 2017, the Patrol has recorded 14,202 Move Over violation citations. Ohio law requires all drivers to move over to an adjacent lane when approaching any vehicle with	flashing or rotating lights parked on the roadside. If moving over is not possible due to traffic or weather conditions, or because a second lane does not exist, motorists should slow down and proceed with caution. To view the statistical analysis regarding OHP’s safe driving awareness month visit http://www.publicsafety.ohio.gov/links/oshp_MoveOver_Bulletin_2018.pdf.